Cusco, the Sacred Valley and Machu Picchu are on most travelers' lists when heading to Peru – but the country has so much more to explore! Travel Beyond, with our partner Explorandes Peru, can offer you a new perspective on the country’s traditional sites, special trips to some of its newest hotspots and unique activities to immerse you in Peruvian life. Be inspired to go beyond the ordinary to discover the rich culture and exceptional beauty of Peru. At Travel Beyond, we believe your trip should be designed just for you, not for the masses. Our travel consultants create a custom itinerary for each client, offering recommendations for places and experiences that best fit your style. The itinerary below was planned for a past client, but we’re sharing it for travel inspiration and as an example of what a trip to Peru might look like. Let us know when we can design a trip just for you! Welcome to beautiful Peru! Upon arrival in Lima, you will transfer to Hotel B in the trendy Bohemian district of Barranco. Rest up this evening and get ready for a full day of exploration in Lima! This morning you will be met at your hotel for a day of discovery in the cosmopolitan city of Lima. Travel is a wonderful way to learn about and appreciate the culture of the country and today you will use traditional Peruvian food as your introduction to the country. Embark on visits to traditional markets, top restaurants, a ceviche and pisco sour class, and districts that best represent the culinary hotspot of the city. Enjoy this mouth-watering experience that will have you falling in love with the best of Lima. 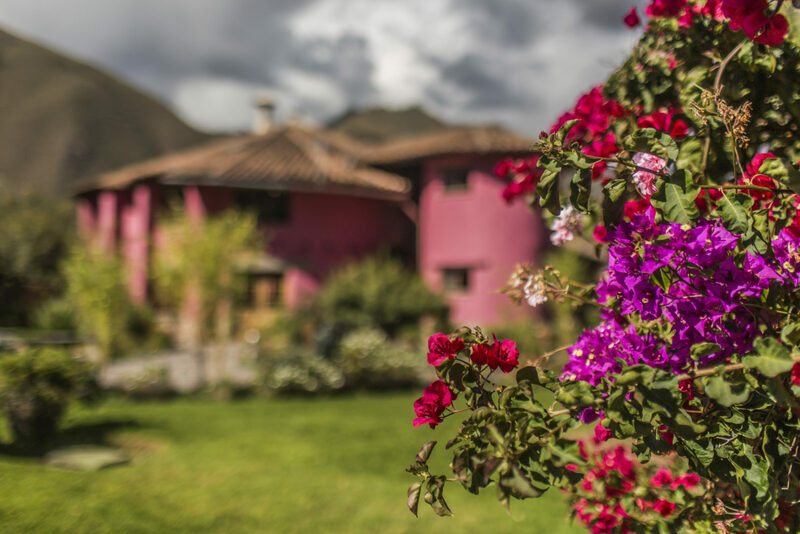 Taste fruits and local products, experience a secret garden café, and enjoy a gourmet Peruvian lunch & dessert amid pre-Incan ruins at la Huaca Pucllana. After lunch, you will head back to the district of Barranco to visit the very streets that have inspired writers, composers, sculptors and artists. You will find a countless array of art galleries, art-deco shops, specialized handicraft shops and fine souvenirs shops. Visit the famous ‘Bridge of Sighs’ which offers beautiful views of the Pacific Ocean. Enjoy the Bohemian area of Lima with your guide, who will share with you the sites that most interest you, and could include the Pedro de Osma Museum, Mario Testino’s MATE exhibition, or the Contemporary Art Museum. This morning you will catch a flight to Cusco, before continuing to the Sacred Valley where you will have an opportunity to participate in some unique Peruvian experiences. 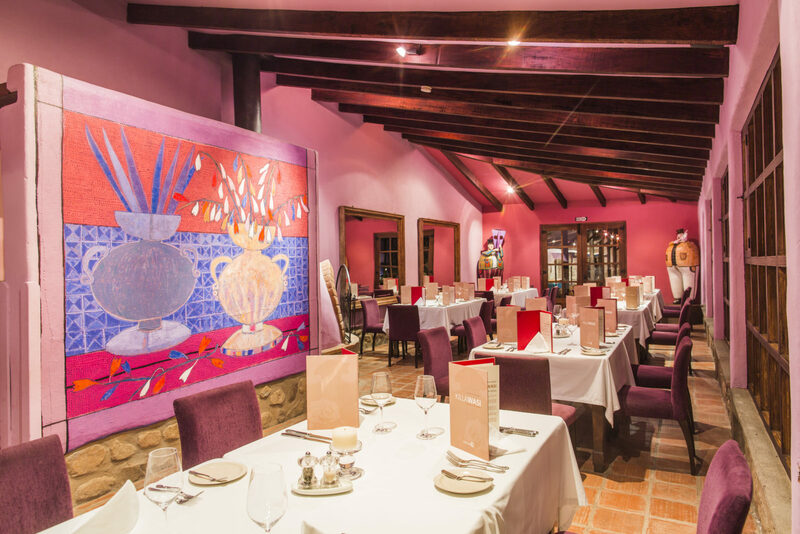 Begin with lunch at Wayra, one of the best restaurants in the Sacred Valley. 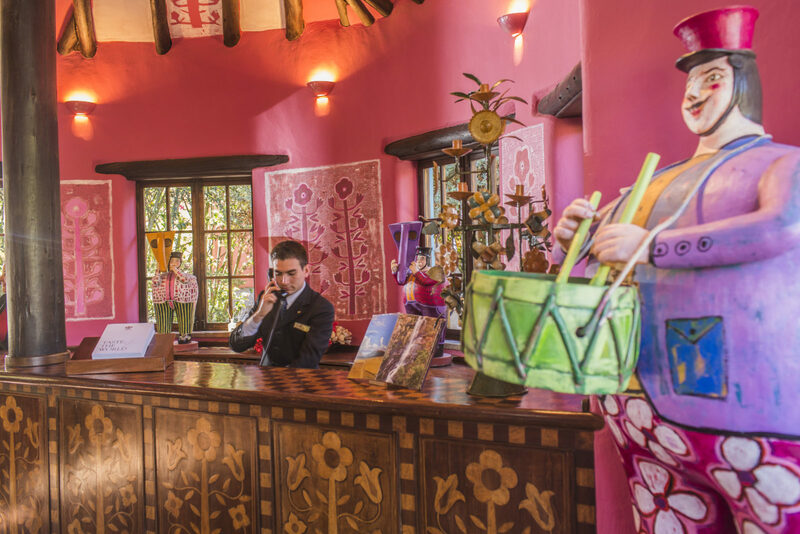 From the moment you enter the beautiful grounds, you will be surrounded by aromas of freshly baked bread from the traditional wood ovens, as well as tasty empanadas served with lemon juice and hot pepper sauces. Peruvians love their potatoes and you will partake in an assortment of them, all grown in remote Andean communities. You will be amazed with the many varieties, their unusual tastes and the diverse ways in which they can be used. What makes this lunch even more special is the spectacular equestrian exhibition that will be performed as you dine. This is a special opportunity learn about an important part of the Criolla cultural heritage and celebrate a unique breed of Peruvian horses developed from a genetic selection made more than 400 years ago. These elegant horses will amaze you with their graceful gait as they perform to the rhythm of live marinera music. This is a legacy that the locals cherish and proudly share with their visitors. 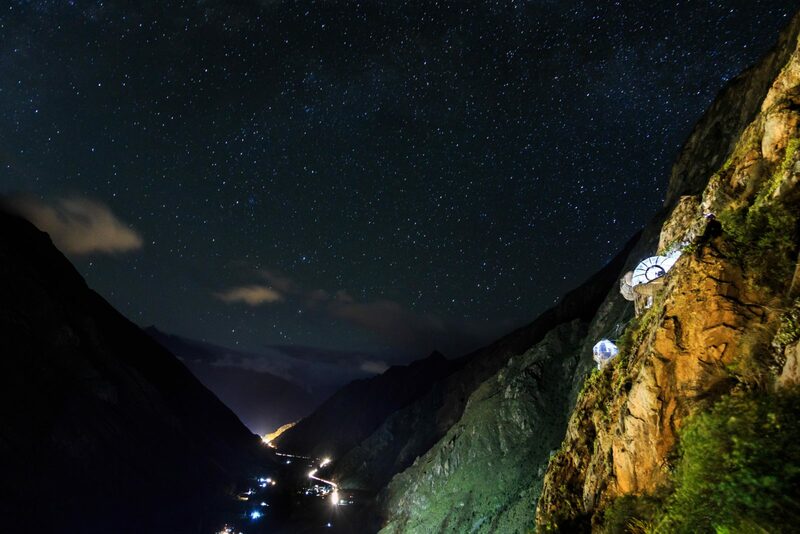 When this meaningful performance is complete, you will head out to your next uniquely Peruvian adventure: an overnight at the Skylodge Adventure Suites. 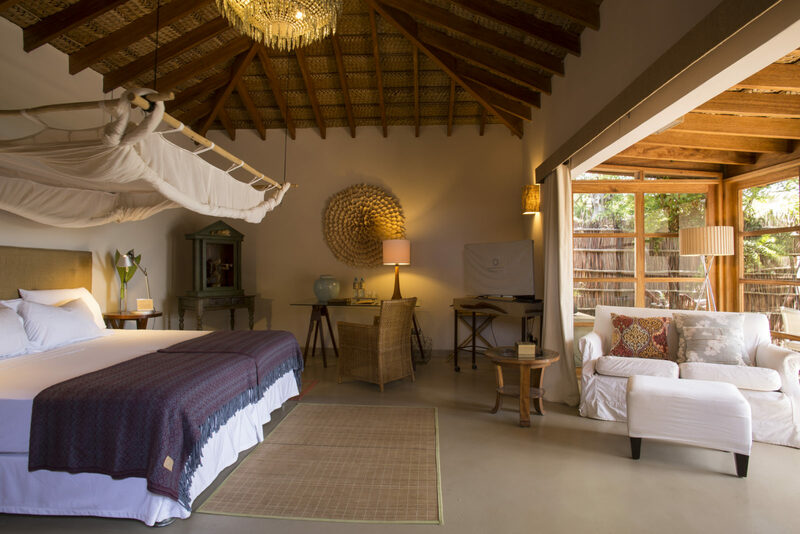 This is a stay you will boast about to your friends at home! 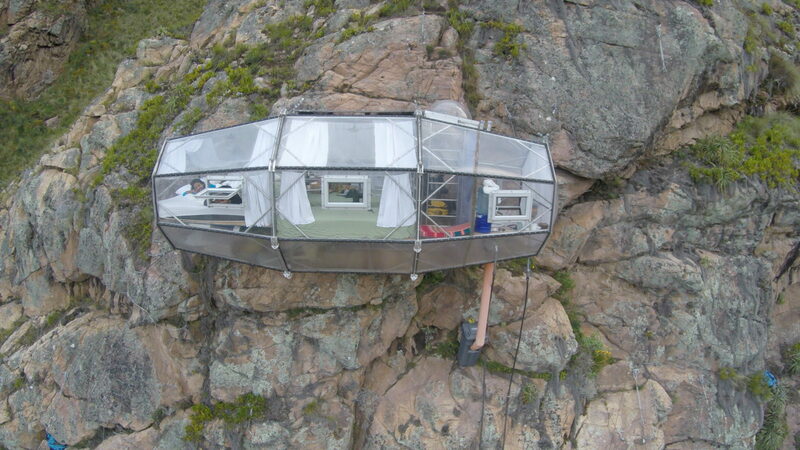 Tonight’s accommodation will have you sleeping in a completely transparent “hanging bedroom” – 1,312 feet above the ground! 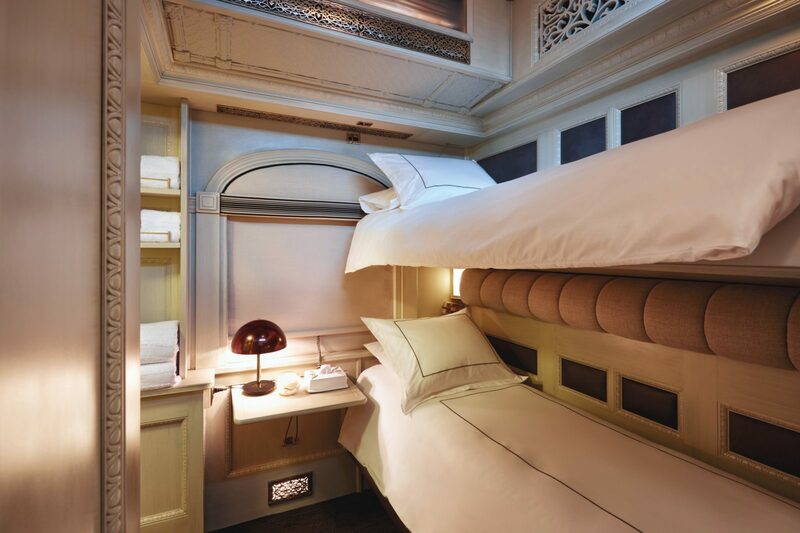 Each module has four beds, a dining area and private bathroom, and measures 24 ft. in length and 8 ft. in height and width. 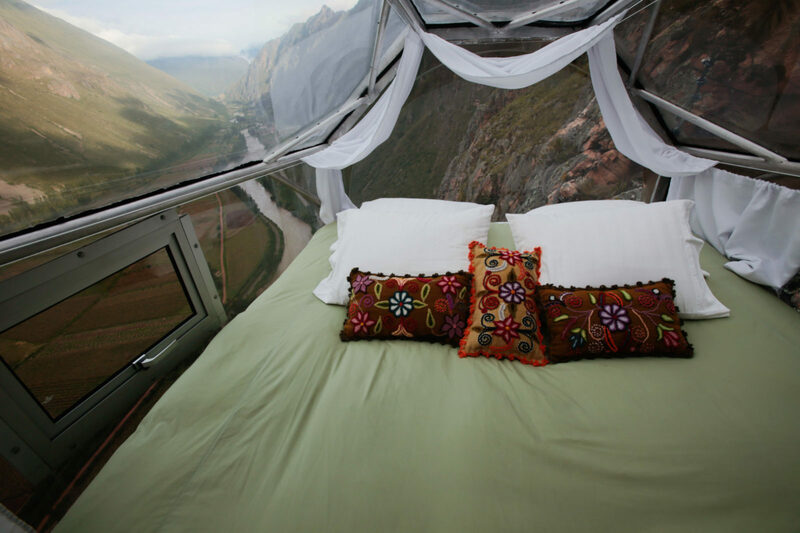 The dome also has curtains for privacy from the curious gaze of passing condors, who are your only sky neighbors. There are two ways to get to the Skylodge: by way of a hanging bridge, or, for more intrepid travelers, a series of ziplines will deliver you to your room. Choose your preference! 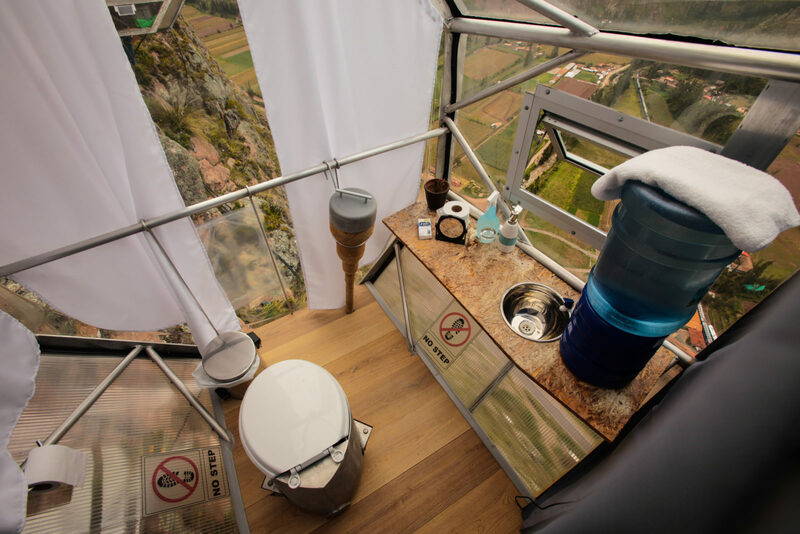 Your security is paramount at the Skylodge, and your stay will start with a safety briefing, where you will be fitted with the appropriate equipment. Ascend to your suite to enjoy a welcome drink before settling in to your room. Dinner will be served at 8:00pm and then the night is yours to enjoy the stars and views from your perch along the cliff. Good morning from what may feel like the top of the world! Today ends your stay at the Skylodge Adventure Suites, but not before you descend back to solid ground, full of incredible memories of this unique experience! Transfer to the village of Chinchero, which was sacred to the Incas as the mythical birthplace of the rainbow. Here, you start your bicycle tour of Moray and Maras, two of the Sacred Valley’s most fascinating destinations. 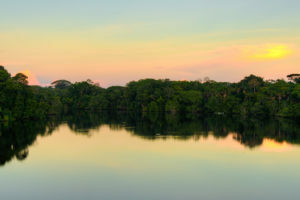 Passing the lagoon of Huaypo you’ll arrive at the archaeological park of Moray. Enjoy the natural beauty while you marvel at the mysterious circular terraces which some historians believe created mini-microclimates used to grow different crops. A one-hour, downhill ride will immerse you in the peace of the Andean countryside, before arriving at the village of Maras. Enjoy lunch before continuing to the nearby salt pools of Maras. Originally mined by the Incans, these ancient and colorful pools are now individually owned and tended by the local people. You will continue downhill for another 40 minutes, where you end your magnificent bike tour and be transferred to Hotel Sol y Luna for your overnight stay. Enjoy the remainder of your day at leisure! This morning you will transfer to Ollantaytambo to board the train toward Machu Picchu. As the Valley becomes a canyon, the cloud forest begins to appear with a marked vegetation. 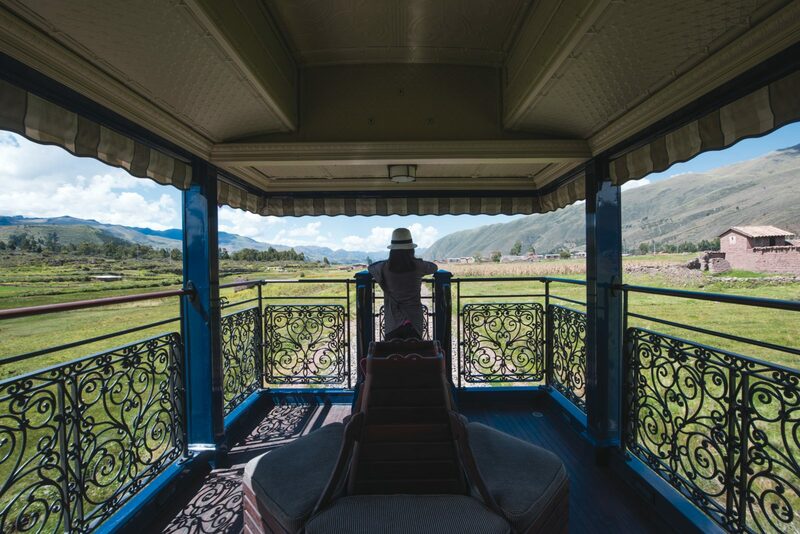 You will disembark the train at Kilometer 104 for the ‘Inca Trail Express,’ where you will begin your three-hour trek to Machu Picchu. Visit the Chachabamba ruins and head to Wiñay Wayna, an important spiritual site. The trail cuts across the ridge above Machu Picchu and you will reach the Sun Gate, Intipunku, for fabulous views of the citadel. It is the most exquisite way to see Machu Picchu for the first time. After time for a brief exploration, you will board the bus for the winding downhill journey to Aguas Calientes and the Inkaterra Machu Picchu Pueblo Hotel. Don’t worry, you have more time to discover the mysteries of Machu Picchu when you return tomorrow! Today you head back to Machu Picchu. Your guide will take you on an informative tour through the many sectors of the sky-high citadel with astonishing views and incredible historic stories that will truly take you back in time. 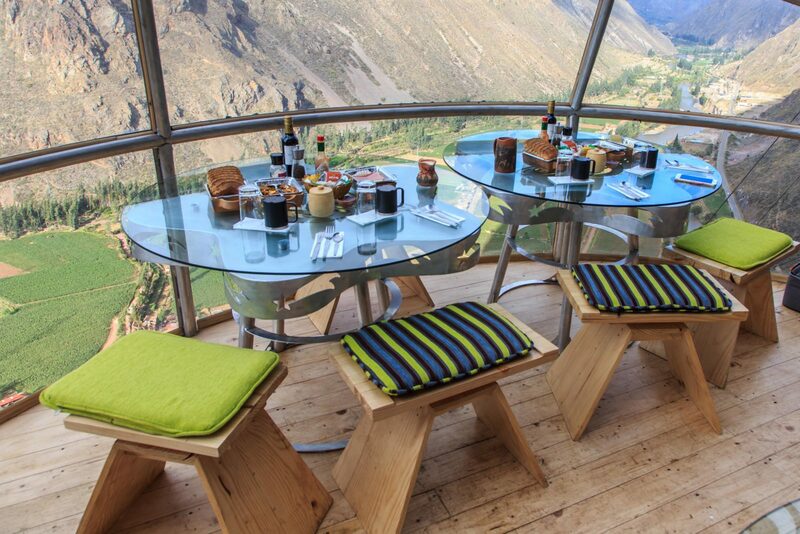 Enjoy lunch on the mountain top, at the iconic Belmond Sanctuary Lodge before returning to Aguas Calientes. 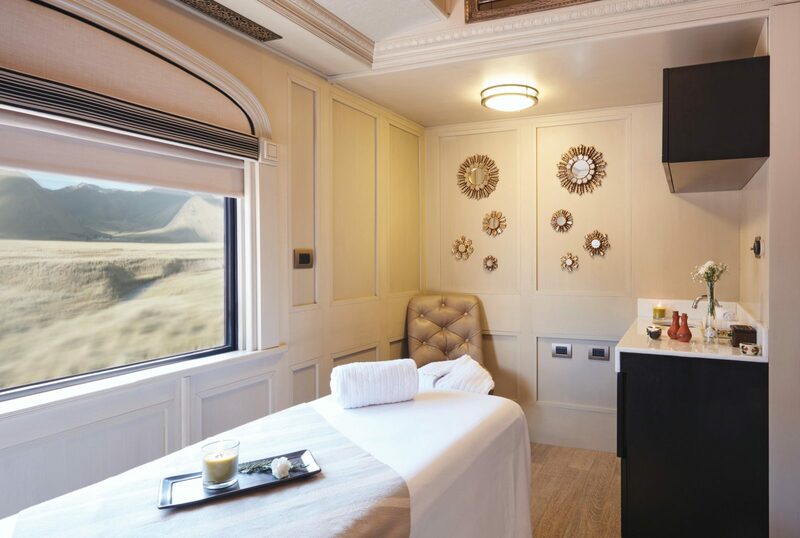 Here, you will board the train for your return to Ollantaytambo and continuing to Cusco, where you will be transferred to Palacio Nazarenas, for a two-night stay. 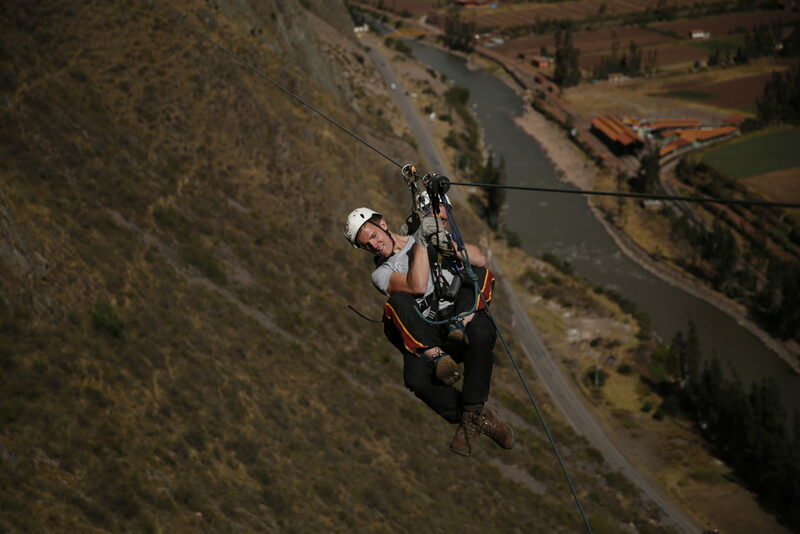 Today you will be met by your private guide for a half day tour of Cusco. Start with a visit to the main sites around the Plaza de Armas, including the Cathedral, the Inca walls, and the Sun Temple of Koricancha, located inside the Santo Domingo Church. Experience the nearby ruins of Sacsayhuaman, where you will view the impressive architecture of the Incans. 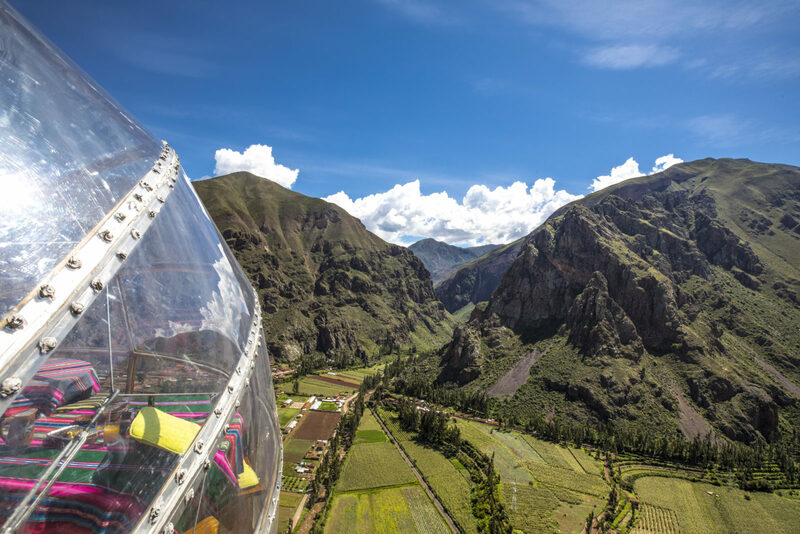 You can form your own theories about how the Incans managed to move – and perfectly cut – the massive stones used in the fortress overlooking Cusco. Visit Qenqo, a labyrinth with carved stone walls, believed to be used for Incan rituals and worship. Continue to Puca Pucara, believed to be a defense fortress and is made up of large walls, terraces, and staircases. End your visit at the Incan bath and water temple of Tambo Machay. When you return to Cusco, your guide will direct you to the best shops, museums, markets and restaurants, based on your personal interests. Spend the remainder of the day shopping, dining and exploring! 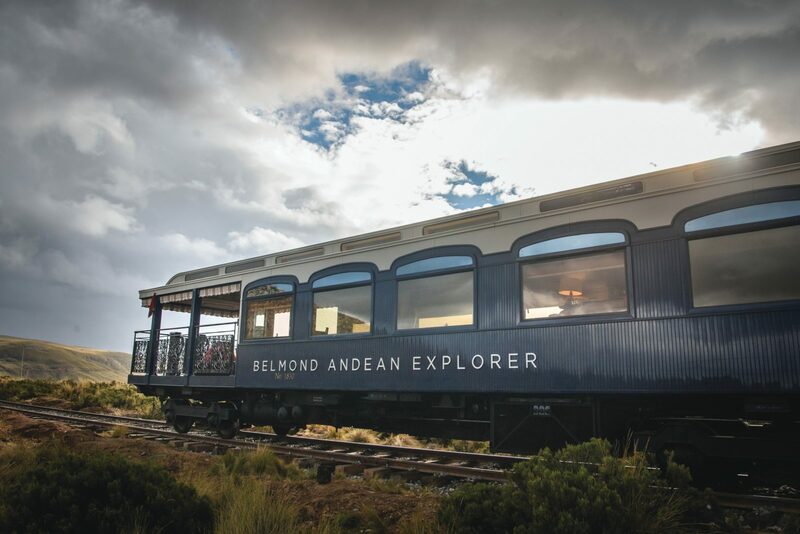 Today you be transferred to Wanchaq Station where you will board the Belmond Andean Explorer luxury train for your two-night/three-day journey to Colca Canyon. 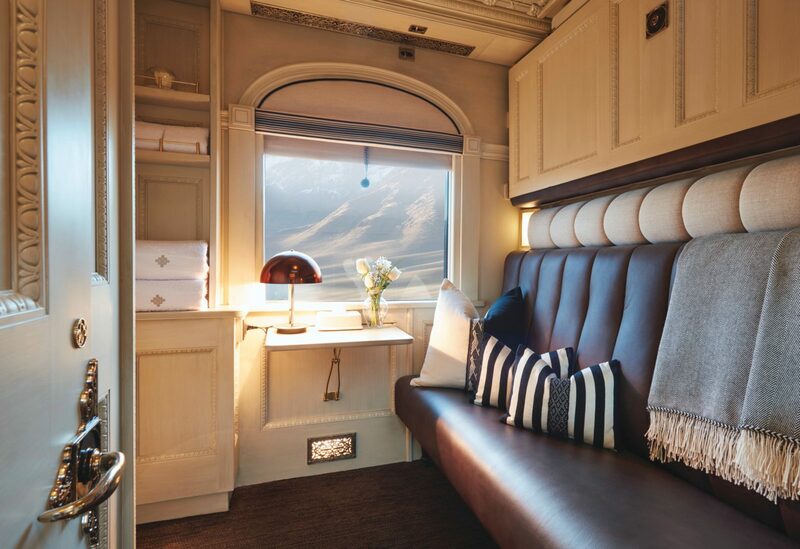 Settle down and unwind in your luxurious cabin as the train begins its journey southeast toward Puno. 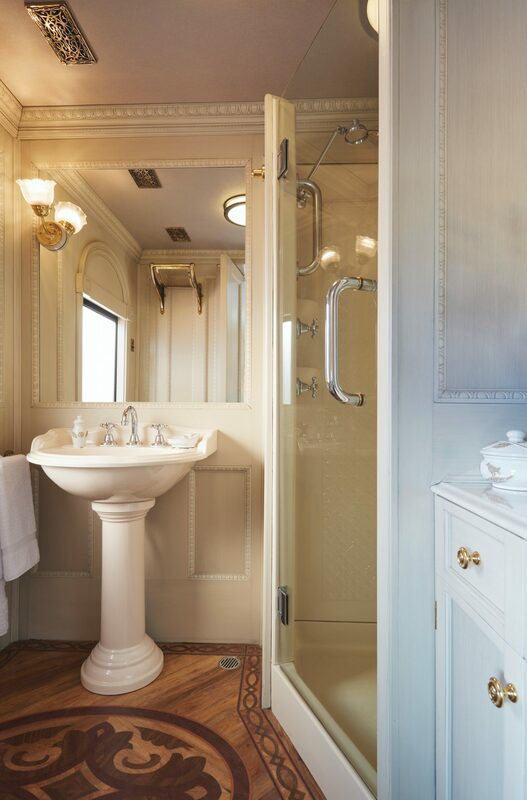 Savor your first lunch on board in one of the elegant dining cars. Refined Andean specialties are served with contemporary flair. Your first stop will be to visit Raqch’i. Once an important control point for the Incas, it is today a fascinating archeological site brimming with history. Return to the train just in time for tea. Soak up the sensational sunset over La Raya Mountain range before preparing yourself for an elegant dinner on board. 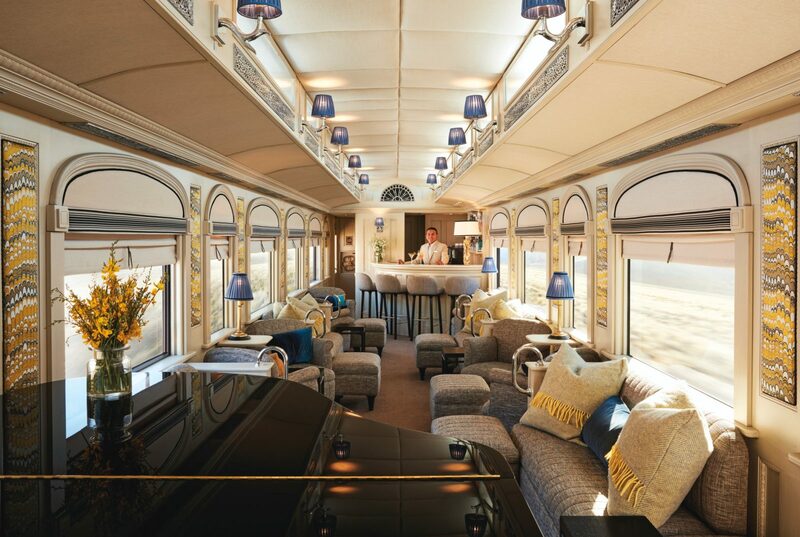 Afterward, perhaps head to the bar car and chat with your fellow travelers as the train continues to Lake Titicaca, where it will stop for the evening. Awake early to catch the breathtaking sunrise across Lake Titicaca before enjoying a delicious breakfast on board. Today’s tours explore the eclectic beauty and right diversity of life on Lake Titicaca, the largest lake in South America and the highest navigable lake in the entire world. First, you will take a traditional boat ride to the Uros Islands, stunning manmade lands carefully created from woven reeds that are constantly being replenished. Continue to Taquile Island, a beautiful island with a way life barely touched by time. Enjoy a private lunch on Collata Beach, with demonstrations from traditional dancers and artisanal workers. Return to the train for tea as the journey continues. Tonight you can anticipate a delicious dinner before retiring to your cabin. Enjoy breakfast onboard before setting off on an early-morning excursion to the spellbinding, rugged scenery of Lake Lagunillas, Afterward, visit Sumbay Caves, home to fascinating cave paintings that are estimated to be almost 8,000 years old! Return to the train for lunch before you bid farewell to your fellow travelers. 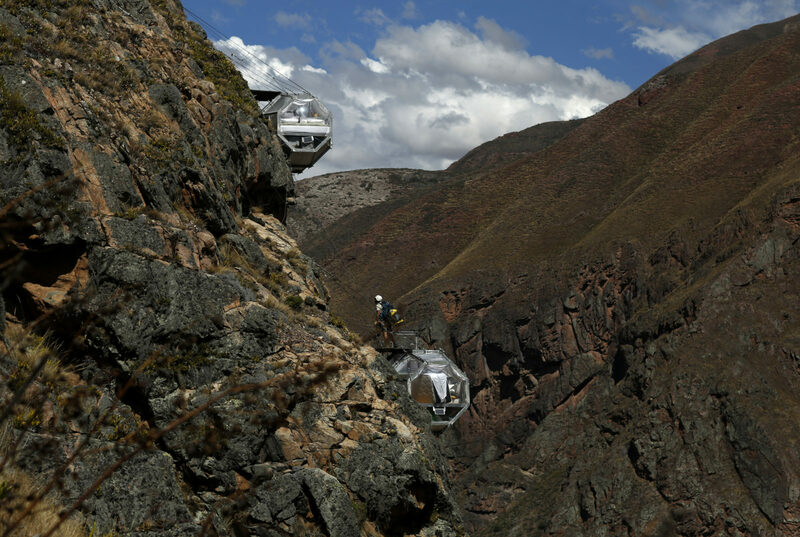 You will disembark in Colca Canyon where you will transfer to the Belmond Las Casitas. 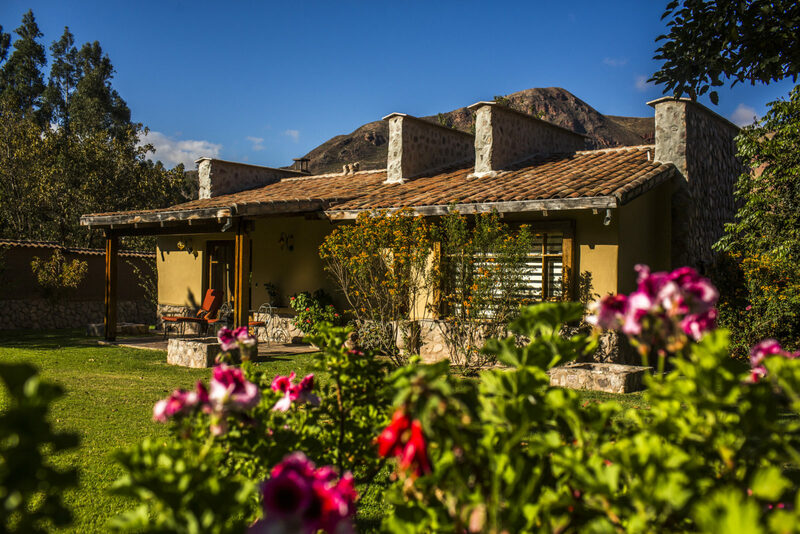 Blending effortlessly with the awe-inspiring natural environment, Belmond Las Casitas is the ultimate Colca Canyon Hotel, with authentic local style and indulgent accommodation. You will love this tranquil retreat, surrounded by the beauty of the canyon. 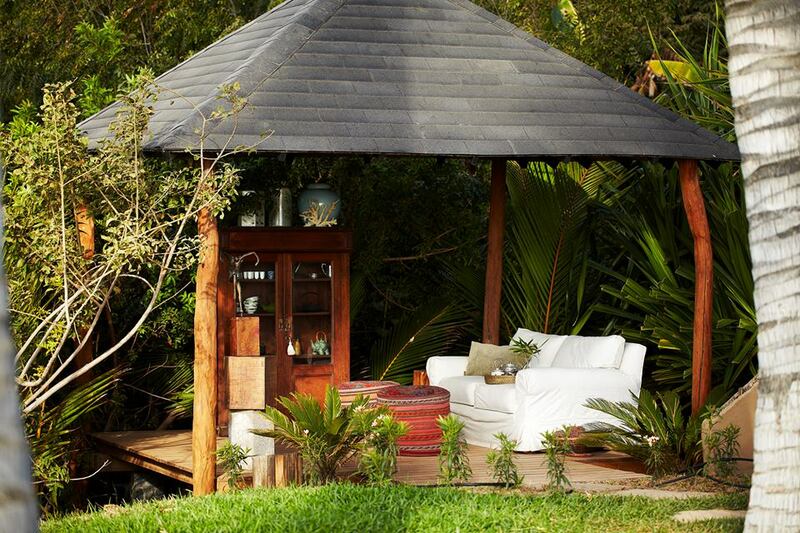 It is the perfect place to unwind after your journey. A stay here feels like it is a world away! Enjoy your day at leisure to enjoy your beautiful surroundings at Las Casitas. Your enviable location means that you will have access to an incredible list of activities and excursions, right on your doorstep! Saddle up for a scenic ride into the lesser-known parts of the canyon, accompanied by an expert guide. Get to know the adorable resident alpacas on the resorts small farm. Embark on a beautiful trek through changing scenery, with eagles soaring overhead. Or order a picnic lunch from the hotel kitchen, grab a map, and explore on your own! Slip into a gentle pace of life as you spend time in harmony with the astounding nature and warm local communities of this lush valley. Time is yours to savor, with complete freedom to do as much or as little as you wish. Today you will have your morning at leisure. Enjoy an activity at the hotel, or simply make the most of your downtime by unwinding beside the pool or recharging in the spa. This afternoon, you will be met for your private transfer to Hotel Libertador in Arequipa. Today you will be met for your private transfer to the Arequipa Airport for your commercial flight to Talara (via Lima). 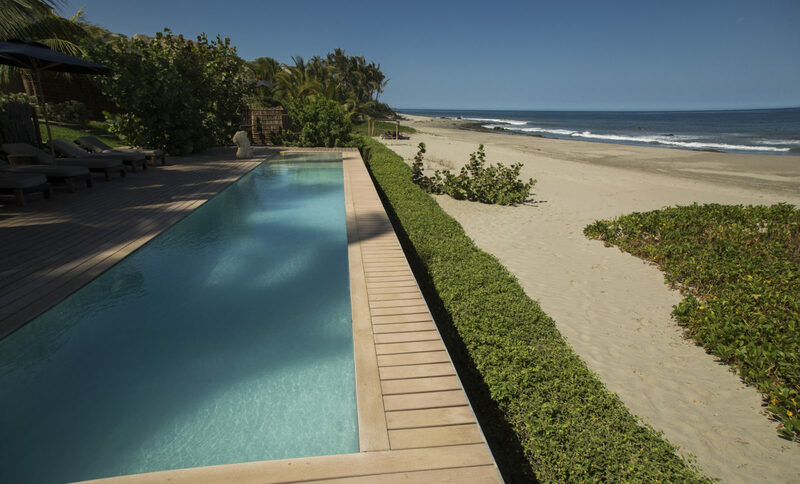 Upon arrival in Talara, you will be transferred to Mancora, one of the best beach destinations in South America! A few years ago, Mancora was a sleepy fishing village and a haven for backpackers. Today it has blossomed into a thriving hotspot for sun worshipers and water enthusiasts – with lively bars, restaurants and a long, lingering coastline. As you transfer, you will see the environment change from desert, to dry woods and, later, to almost tropical weather. 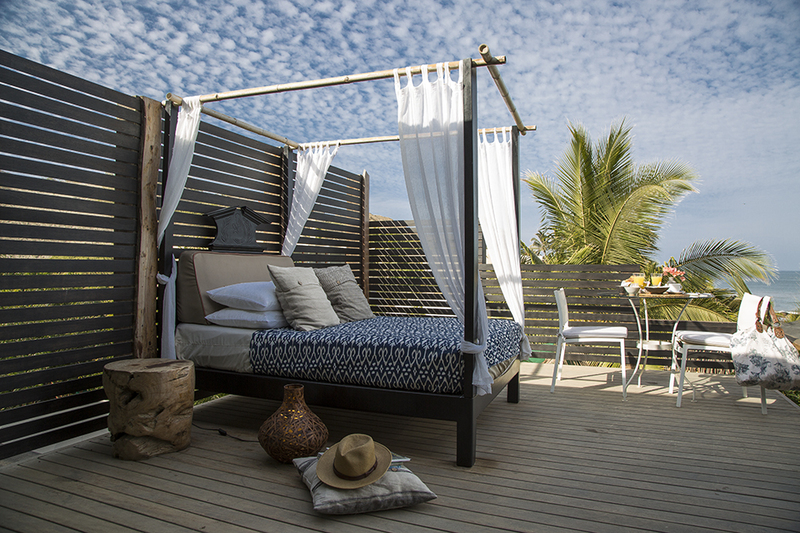 Arriving at Mancora, you will transfer to Kichic Boutique Hotel, your home for the next three nights. Enjoy a wonderful lunch and then choose how you would like to spend the rest of your first day in Mancora. Relax on the beach, swim in the warm-water Pacific Ocean and enjoy one of the most beautiful sunsets in Peru. 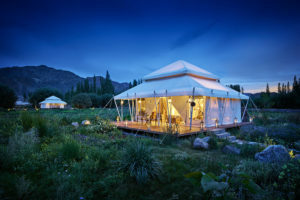 Kichic is a unique hideaway that caters to guests seeking to relax and discover new sensations; guests who want to set aside their everyday routines, to find peace and connection with themselves. ‘Ki’ comes from Japanese antique philosophy; it stands for energy, vitality and universal strength. ‘Chic’ is an international expression indicating elegance, style and class. The combination of the two, perfectly defines the resort and its spirit. Today marks your second day in beautiful Mancora, and you will embark on an exciting adventure: a search for Humpback Whales. From August through November, visitors can enjoy amazing shows put on by these majestic creatures as they arrive to the Northern coast of Peru from Antarctica. The come to the warm waters to breed and calf during the reproductive season. Sailing next to the coastline, your patience may be rewarded by spotting whales playing with their babies, or jumping and swimming next to the boat. Also keep your eye out for dolphins, sea lions, sea turtles and the magnificent frigatebird. Hoping to travel outside of whale watching season? During these months, there are opportunities for offshore fishing. The Peruvian north is an exceptional area for this, as the meeting of the cold ‘Humboldt’ marine current, with the warm ‘El Niño’ current, produces unique conditions for excellent fishing. 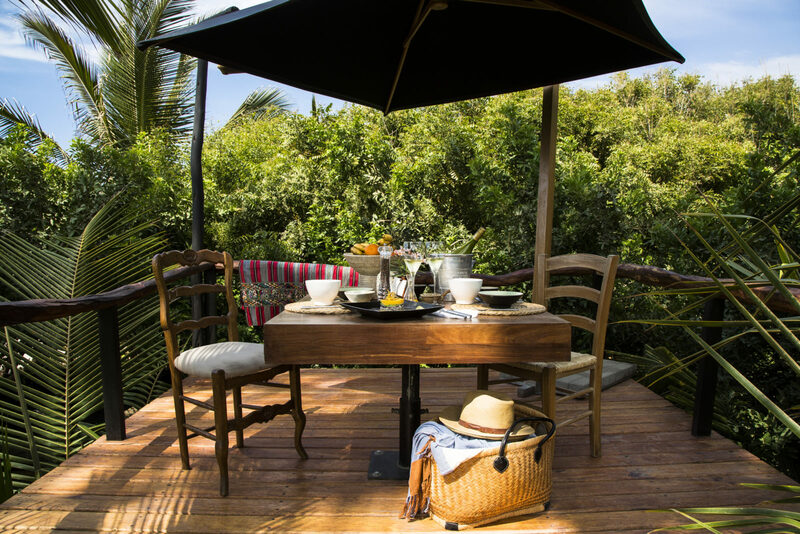 Enjoy a marine barbeque lunch, with fresh lobster and crab on offer. You will next transfer to El Ñuro Town, to visit the local dock where many marine turtles come to be fed in the afternoon. Learn more about marine products and their importance in the lives of the local fisherman. After a day on the water, head back to your hotel for dinner and time relax to the sound of the ocean. Today you will have your day at leisure to enjoy the amenities of the hotel. You may choose between yoga classes, a decadent massage, or relaxing by the pool or beach. Try a fun surfing lesson or make your way into Mancora Town to try one of the delicious restaurants nearby. Today you will depart Mancora and head back to Talara for your flight to Lima, and your onward flights home. Travel Beyond is proud to offer this unique adventure in partnership with Explorandes Peru!. Back in 1975, Explorandes was the the first adventure company to operate commercial treks on the Incan Trail. Since then, they have been providing adventurers with authentic and life-changing experiences in Peru. 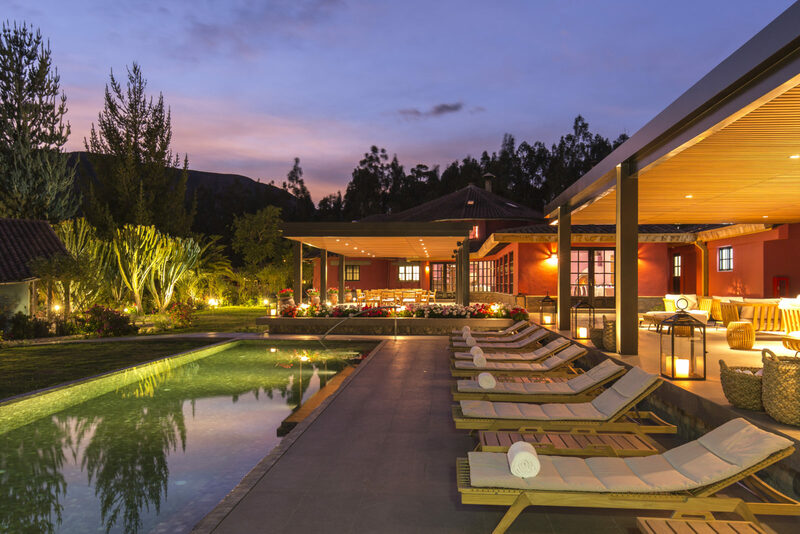 As Travel Beyond’s on-the-ground provider of touring and transfer services in Peru, they continually surpass our clients´ expectations in luxury travel experiences. 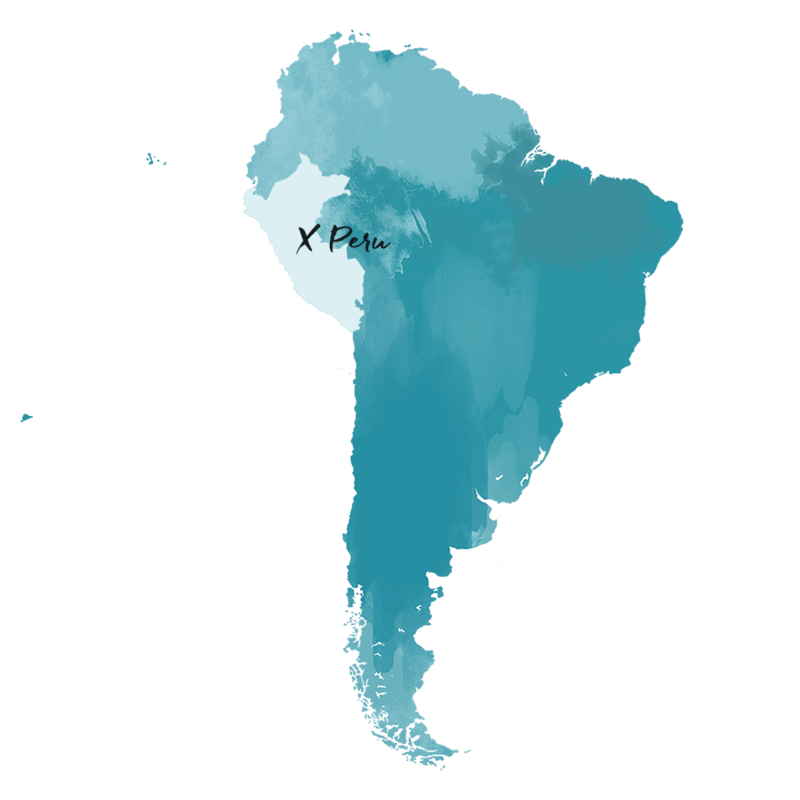 Like Travel Beyond, Explorandes is strongly committed to preserving the environment by minimizing negative impacts. Discover more about Peru travel, and the unique services provided by Explorandes, by contacting Travel Beyond. We are ready to help you plan your own special Peru adventure!